Most of the crocheters I've interacted with have been unaware that they could be using slip stitch to create intriguing, distinctive fabrics. If you've only thought of slip stitch as a way to join crocheted elements together, I hope you'll take another look and consider some of the exciting possibilities for using the slip stitch. The fabric pictured here is one example, although it's not the flashiest example in existence. One thing I do find exciting about it: I think it's a really nice look for menswear. If you're interested in crocheting guy-friendly designs, I think you will find that slip stitch crochet is well worth exploring; it's also a great technique for creating women's wear, children's wear, home decor projects, accessories and just about anything else you might like to crochet. Crochet terminology is not always standardized, and this is one of those cases. Part of the problem is that language barriers contribute to the overall confusion. Here are some of the various names I've encountered for different variations of slip stitch crochet. Note that these names do not all mean exactly the same exact thing, and they cannot necessarily all be used interchangeably but they all do refer to similar techniques involving slip stitch and crocheting. Swedish Names: according to Barbro Heikinmatti, various slip stitch techniques are referred to in Swedish as "smygmaskvirkning," "gammelvirkning," "påtning," "gobelängvirkning," "bosnisk virkning," and "krokvirkning." If you'd like to see the English translations and learn a bit more about the distinctions between these techniques, I refer you to her interesting and informative blog post on the topic of Bosnian crochet. It's a fantastic article with lovely pictures and lots of great info. I doubt this is a comprehensive list of all possible names for slip stitch crochet, but it at least gives you an idea of some of the most popular names. *I've also encountered people who use the term "shepherd's knitting" to refer to Tunisian crochet, which is a different technique requiring a longer crochet hook. If you'd like to try crocheting the fabric pictured here, simply work a starting chain of any length; then work slip stitches the whole way across the row. When you get to the end of the row, you'll have to turn the work. It's also time to decide whether or not to work a turning chain. If you work a turning chain, it will be taller than the slip stitches, and this will create a bit of a ruffle along the sides of the fabric. If you skip the turning chain, turning might seem a little awkward to you, but it can be done. Be sure to check out the videos linked below for insights into how other crocheters are turning their work when crocheting flat pieces. To do the second row, you'll work in slip stitch all the way back across. You can achieve different effects by crocheting into different loops; feel free to experiment! For this particular fabric, I crocheted into the uppermost loop on the second row and each row after. Some crocheters find it challenging to work slip stitch crochet with an ordinary crochet hook. A pjoning hook is a hook that is shaped especially with slip stitch in mind; you can see an example of a pjoning hook, or buy one, at the Lacis.com website. See this page of their product catalog. I've heard that a pjoning hook greatly facilitates the process; at this point, I haven't yet tried working with a pjoning hook, so I can't confirm or deny that either way. It should be noted that you could expect to get slightly -- or possibly, drastically -- different results when working with a pjoning hook vs a standard crochet hook. See also: how your choice of crochet hooks might influence your gauge. I've been using Boye hooks for my slip stitch crochet adventures thus far. It's likely that the experience could be improved on; the jury is out. I do know this: So far I've found that working with a larger-than-usual hook helps to make the crocheting go a little easier, not to mention a wee bit faster. Slip stitch is shorter than other crochet stitches, which explains why slip stitch fabrics tend to grow slowly compared to fabrics worked in other crochet stitches. Communicating the instructions for a slip stitch fabric can get a little confusing; working from patterns can be similarly challenging. When following a pattern, it's not always easy to differentiate which loop you should be working into. Some variations of slip stitch crochet require expertise. Most variations of slip stitch crochet require a significant amount of patience. Classic Menswear Accessories: Both of the following items are crocheted using an ordinary standard crochet hook. These are coordinating patterns that combine slip stitch with single crochet stitch; the single crochet rows help the work to move along more quickly, in addition to adding interesting textural contrast. These designs are classic and won't quickly go outdated, yet they are contemporary patterns designed for crocheters in the here-and-now. You can take a close-up look at the stitch here, and read more about it. Pictures of these projects are available in this image gallery. Bosnian Crochet Neckpurse by James Walters and Sylvia Cosh; this pattern is clearly written and the additional notes and explanations are extremely helpful for anyone who is new to this technique. Eskimo Mittens in Slip Stitch: This free pattern is posted at the Drops website. More Free Slip Stitch Crochet Patterns -- This list of free pattern links is posted at the slip stitch crochet blog. Kerstin Jönsson smygmaskvirkar -- In this short video, you can see a pjoning hook in action. Fascinating! Flat hook slip stitch crochet -- Here's another video showing a pjoning hook in use. Notice the ultra-sharp point. Both of these videos were uploaded by annettecrochet at Youtube. Slip stitch crochet, front loop, flat piece -- This video and several of the videos that follow are posted at the slip stitch crochet blog. Knit 1 Purl 2 in Crochet by Bendy Carter, published by Annie's Attic. Learn Slip Stitch Crochet by Nancy Nehring, published by Annie's Attic. Slip stitch crochet resources posted at the "ayarnified life" site. Bosnian crochet samples by James Walters and / or Sylvia Cosh. Sara Lamb shows off her shepherd's knitting projects -- a silk bag and socks that combine the technique with traditional knitting. Vashti Braha is doing interesting and innovative things with slip stitch crochet. 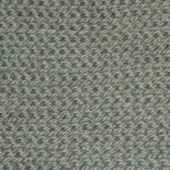 Slip Stitches in Surface Crochet: You can work slip stitches on the surface of crocheted or knitted fabrics. This technique is useful for adding embellishments, colors, or writing on the surface of your fabric. Want more info? My tutorial gives you the details. How to Join With a Slip Stitch to Form a Ring: You'll find these instructions in many different crochet patterns; if you want to see how to do this step-by-step, this is the page for you. I've linked to my main references in the text of the article above. The resources linked below provided additional insight that I found helpful when creating the article.